Pepsi Paytm is again come with a free Paytm cash offer to loads your Paytm wallet with lot of free paytm cash. Once again Paytm is associating with Pepsi to provide amazing offer where you can get free Rs. 15 or Rs. 20 Paytm cash on a purchase of Pepsi bottle. You can get Rs. 15 Paytm cash on a purchase of single serve PET bottle(400ml, 500ml, 600ml, 750ml ) and Rs. 20 Paytm cash on a purchase of multi serve PET bottle(1L, 1.2L, 1.5L, 1.75L, 2L, 2.25L). The amount of Paytm cash you get from this Pepsi paytm offer can be further use for recharges, bill payments, shopping at paytm website and for other purposes as well. You can used this offer only one time per Paytm wallet during the offer period. Search for the unique code which is printed on the label of every Pepsi bottle. Redemption process with simple steps is provided below. 1. First visit a nearest General Store and buy an updated Pepsi bottle which contains information about Paytm Pepsi offer or coupon code. 2. To get Rs. 20 free Paytm cash, you have to purchase multi serve PET bottle(1L, 1.2L, 1.5L,1.75L,2L, 2.25L). 3. And to get Rs. 15 free Paytm cash, you have to purchase a single serve PET bottle with quantity (400ml, 500ml, 600, 750 ml). 4. Now look out for unique cash code at the back of the label. 5. After that send the unique code via SMS to 9888798003. 6. Use only “Android Chrome browser” or “PC or Laptop”, otherwise the mentioned offer will not work. 2. Enter the Unique cash code which you get via SMS process above. 3. Now you will get Rs. 15 or Rs. 20 Paytm cash into your Paytm wallet. You can use this amount for recharges or shopping via Paytm. 5. Enter your mobile number, operator and amount to recharge. 6. Proceed and pay via Paytm wallet and your recharge will be done instantly. 1. By participating in this offer, each participant is deemed to accept these terms and conditions. 2. Log onto www.paytm.com/pepsi for more help. 3. Offer is valid from 15th March 2016 to 31st August 2016. 4. This Offer is being conducted by PepsiCo India Holdings Private Limited in association with One97 Communications Ltd.
5. Enter the code printed on the inner laminate pack of the bottle i.e. 12 digit number. 6. The code cannot be redeemed after the expiry of the offer period. 7. Offer is not valid in conjunction with any other offer. 8. Products also available without this Offer. So first check the bottle whether it is an updated one or not. As products without the offer cannot provide any free Paytm cash in your wallet. 9. Any customer related queries for this Offer can be addressed to paytm.com/care or + 91- 120-3062244. 10. Paytm cashback offered as part of this offer is non-transferrable, non-refundable and no physical cash payment will be made instead of this. 11. For more Terms and Conditions, click here https://paytm.com/offer/pepsi-help/. 2 Responses to "Pepsi Paytm Offer : Get Rs. 15 or Rs. 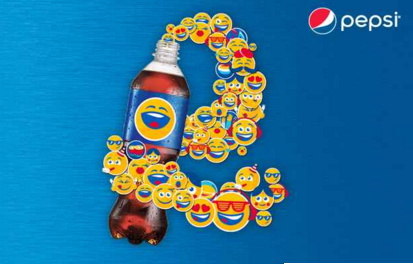 20 free Paytm credit on every pack of Pepsi bottle"